I hope you’ve had a great weekend, and a lovely Mother’s Day! I mostly layed around watching Gossip Girl and eating Maltesers whilst feeling ill! I’ve really not been too well lately, which has made me behind with blogging and photography, and just to top it off my house is a complete tip too, arrrgh! That’s my explanation for today’s rather short and sweet post – I wanted to let you know about an amazing gift with purchase offer from House of Fraser. 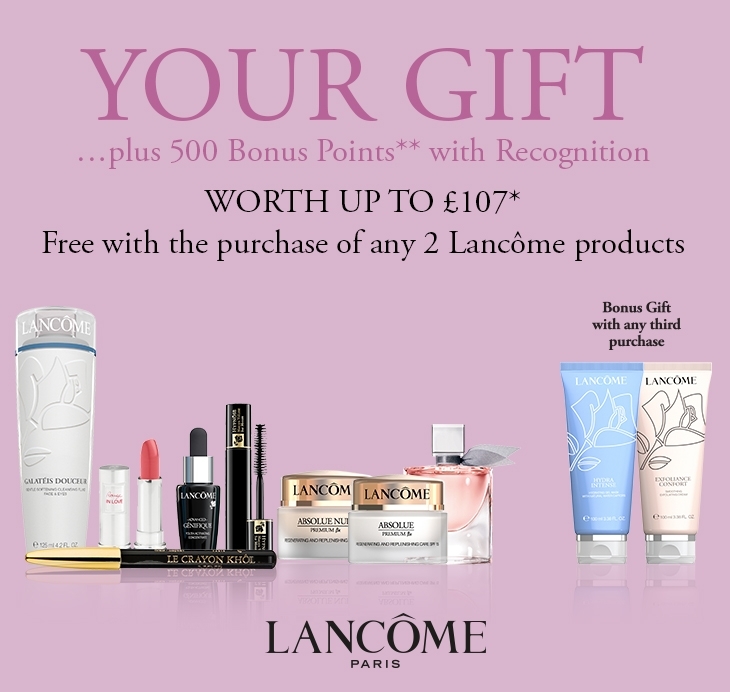 All you have to do is purchase any two Lancome products to receive a free luxury gift bag worth up to £107, plus 500 bonus points with recognition! If you’re keen to get your hands on some Lancome products this is the perfect opportunity – what better chance to treat yourself? I haven’t actually used any Lancome cosmetics myself so I’m really looking forward to trying out the lipstick and eyeliner especially! I’ll report back shortly with my thoughts. You can check out all the details here, and the offer runs from 11/03/15 to 29/03/15. That’s a great deal. I tend to stick with my favourite brand as I suffer a lot with allergies, but my Mum loves Lancome. Wow that’s an amazing offer. 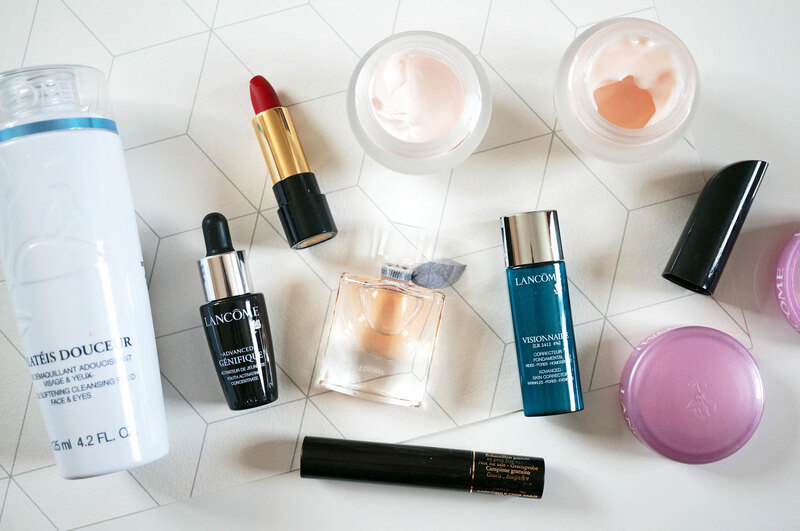 I’ve never tried Lancome…this could tempt me! !